In association with Concerts SA, two of South Africa’s most renowned pianists – New York-based Kathleen Tagg and Andre Petersen – join forces in a show that explodes the concept of what a piano, or in this case two pianos, can do and sound like. They will tour South Africa with their project Where Worlds Collide: Kathleen Tagg and Andre Petersen from June 2ndto June 12th, performing in Cape Town, Johannesburg and Port Elizabeth. This tour will celebrate the digital release of their 2016 album Where Worlds Collide and its upcoming release in the USA on Table Pounding Records in September 2017. It will be their first time performing this project in Johannesburg and Port Elizabeth. Where Worlds Collide draws from the rich sonic tapestries of classical music, South African jazz and traditional musics from Sub-Saharan Africa, to explore a diverse array of sounds. More than just a meeting place of jazz and classical music, Where Worlds Collide employs a spectacular array of additional elements, such as techniques Tagg has developed, using the piano from the inside out, including plucking, bowing and stopping the strings to create a magical world of new sounds. Petersen combines his classical training with his jazz career, while Tagg is a classical musician who improvises and writes music that crosses genres. The result is a bold, vital and highly entertaining mix of South African music, in a completely unique sound. A 2014 SAMA-nominee for Best Classical/Instrumental album, Kathleen Tagg has performed on four continents with some of the world’s leading musicians, including Grammy-nominated duo partner David Krakauer, 12-times Grammy-winner Paquito D’Rivera and Grammy-winner Matt Haimovitz. She is well-known for her cross genre work, mixing classical with world music, elements of jazz, rock, musical theatre, electronica and more. Her performances include appearances at prestigious venues such as Lincoln Center and Carnegie Hall, where she gave her acclaimed solo debut. Tagg’s recorded work can be heard on NAXOS, Gallo Africa, Ossia Records and Table Pounding records labels. Andre Petersen’s years of working with the finest South African and international jazz musicians are combined with his experience on the European and international jazz scene. In addition to performing with his own groups and iconic South African musicians such as Winston Mankunku, Feya Faku, Robbie Jansen and many others, being based in Belgium for a few years, Andre has also worked with a musically diverse group of artists such as Grammy-award winning world music group Zap Mama, jazz musicians Reggie Washington (Roy Hargrove/Branford Marsalis), Dre Pallemaerts (Joe Lovano/Toots Thielemans), Stefan Harris (Wynton Marsalis, Kenny Barron) and many others. 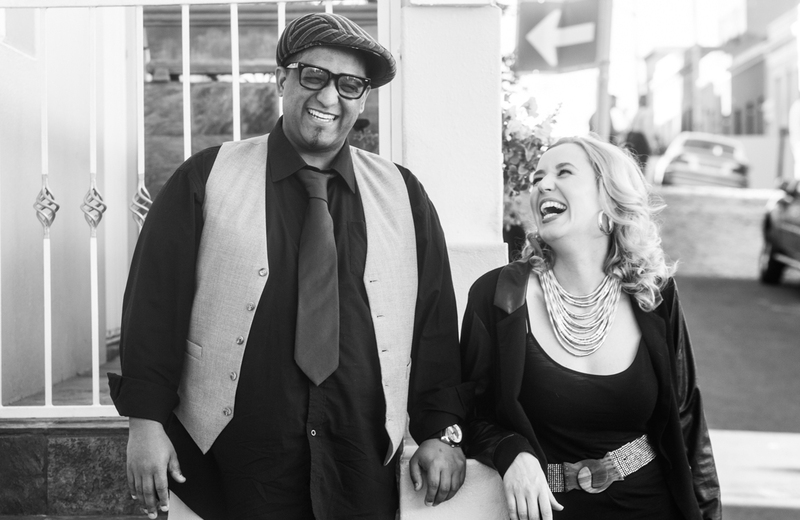 Kathleen Tagg and Andre Petersen’s Where Worlds Collide Tour is supported by Concerts SA through the Music Mobility Fund, a funding mechanism which offers opportunities for South African musicians to undertake live music tours. #CoolSpaces | Father’s Day at the Turbine!